BigMIND now allows you to import the files you have under your G Cloud account. From the opened pop-up box, refer to the Import Files tab and click the Import from G Cloud button. A new Sign into G Cloud Backup window will be opened. Use it to sign into the G Cloud account which you need to import the data from it. If your G Cloud account was created using an email & password combination, then enter the credentials of your account and click the Sign In button. If your G Cloud account was created using the Sign up with Google+ option, you should directly click the Sign in with Google+ button to connect to your G Cloud account. 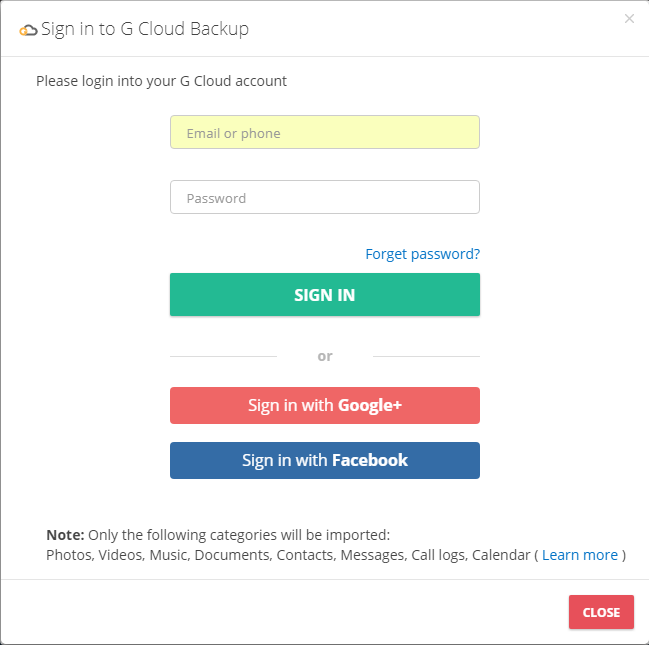 If your G Cloud account was created using the Sign up with Facebook option, you should directly click the Sign in with Facebook button to connect to your G Cloud account. Photos, Videos, Music files, Documents, Contacts, Messages, Call Logs and Calendars. The Close option only hides the Importing Data from G Cloud dialog, and the import process will continue in the background. However, the Cancel Import option cancels the importing process completely. The import process happens only once. This is not a synchronization process. 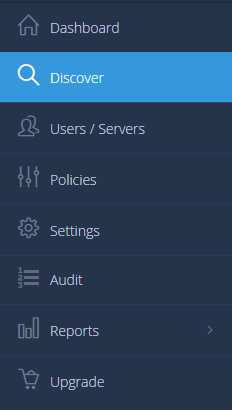 So, whenever new data is uploaded to your G Cloud account, it will not automatically be imported to your BigMIND account. If new data is added to the G Cloud account, and you want to import it to BigMIND, you will need to import all the data again. This will override the old data and add the new one (It will pass all imported files again, and then adds the new one).